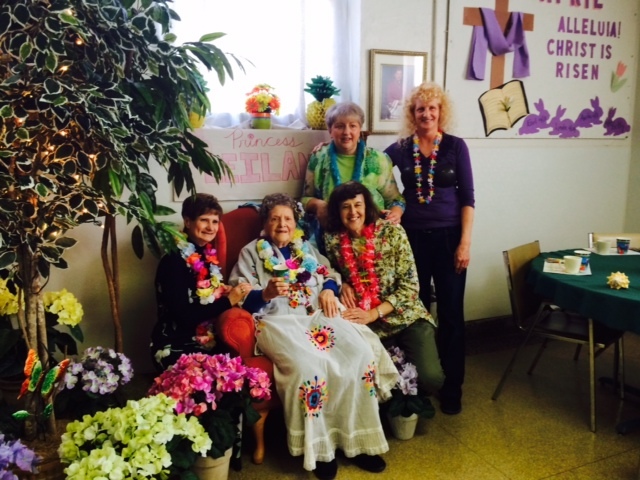 Holy Family Adult Day Care offers organized daytime support services to the elderly and the disabled. In filling the needs of the caretaker or family of the loved one, adult day care allows the individual to remain at home, or the home of a relative while receiving services at the Center. A committed team of professionals provides stimulating social and activity programs, therapeutic care, and support services. Programs meet the special needs of older adults who have Alzheimer's Disease, or who have had a stroke and need supervision but not nursing home care. Allows individuals to continue to live in their homes while attending the Center on weekdays. Presents opportunities for positive social inter- action for otherwise home-bound individuals. Provides a safe and protected environment. Gives relief to working families and to caregivers who provide care for those living alone. 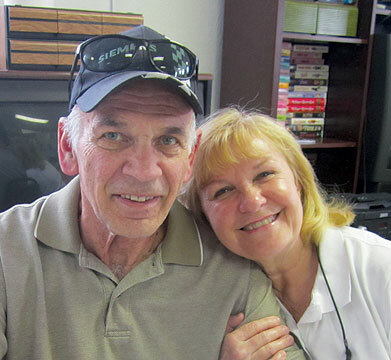 Serves older adults, who benefit from special care planned according to their needs. Supervision by qualified, professional adult day care staff. Nutritionally balanced breakfast, hot lunch and afternoon snack; special dietary needs of the individual are recognized. Arrangement for transportation via the Schuylkill Transportation Systems (STS) as required. Discussion of current events to help participants continue their awareness of local and national developments. Special entertainment such as the Kennel Club for pet therapy, performances of high school bands and choirs, and local musical performers. Hair care and podiatry services are available at a moderate fee. Holy Family Adult Day Care is open Monday through Friday from 7:00 am to 4:00 pm. Cost Participation may be on a full-time or part-time basis with a per-day fee being charged. 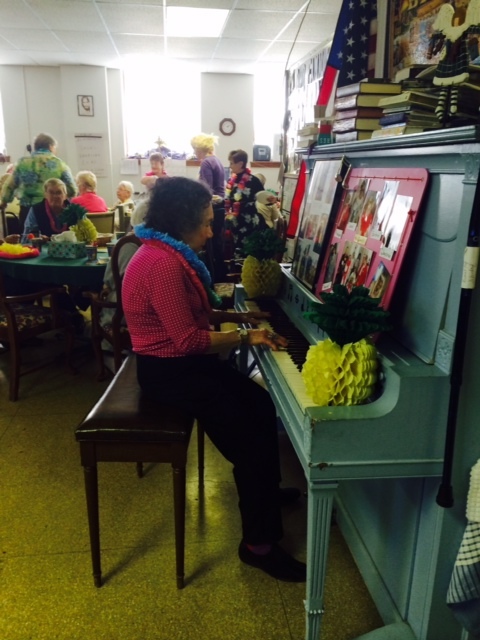 The Schuylkill County Office of Senior Services provides funding for residents who qualify. Holy Family adult day care client and a family member. Jay, adult day care client, fans his friend Sadie who is 'Princess Lelani' for the day. 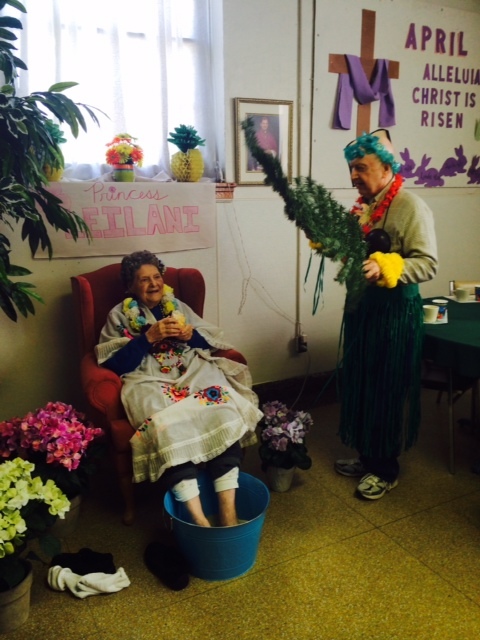 Sadie who is 'Princess Lelani' for the day with Holy Family adult day care staff. Adult day care client entertains at an event.